Xolo’s latest quad core smartphone from Q series recently went on Sale. The Xolo Q800X-Edition is upgraded version of Q800. The handset was launched along with A600 which is a dual core android smartphone. The company launched these smartphone in festive season to raise there sale. But these are not the best smartphone that you can purchased under this price tag. There are many phones in the market even with better specs and cheaper price, like Spice Mi 515, Coolpad 2 Mi496, Gionee Gpad G3, Karbonn Titanium S2, ZTE Blade G2, Lava Iris 458Q etc. The new Q800 X-Edition is powered by 1.2 GHz MTK MT6589 quad core CPU paired with 1GB of RAM. For better graphics rendering and smooth performance there is PowerVR SGX544 GPU. It has 4.5inch qHD resolution IPS display at 245 ppi, which seems to be good for the kind of screen size it comes with. This phone from Xolo runs on Android 4.1 Jelly bean OS. As most of other budget smartphones from the company it also has DUAL SIM capability. It packs with 8MP shooter with BSI sensor, LED flash at the back, to please users while clicking still images and recording Full HD 1080p videos. The front cam is of 1MP resolution and its houses 2000 mAh battery to make it alive. The New Q800 XEdition features 3G, 2G, WiFi, Bluetooth, GPS and 4GB of in built storage. 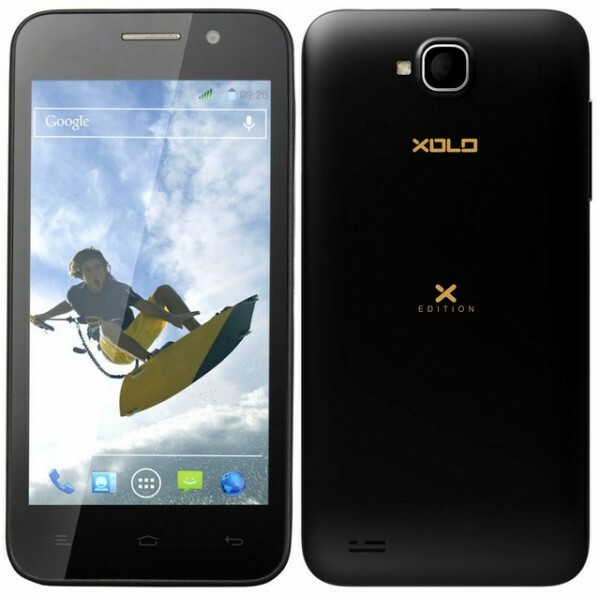 The price Xolo Q800 X Edition is RS12000 and it comes in Black color. Overall the handset seems to be a good competitor for midrange phones in India.